minute drive to ocean beach. Near restaurants, clubs and all. 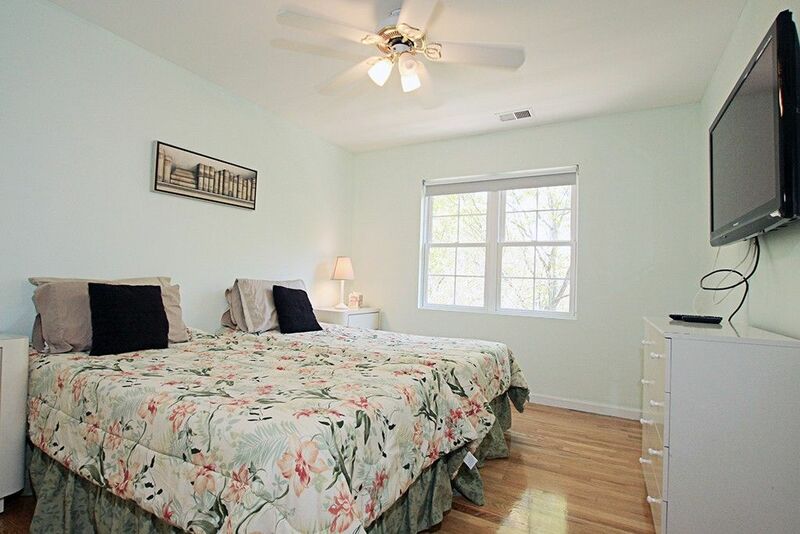 Beds: 2 bedrooms with Two Queen Beds each, 1 bedroom with One Queen Bed, 4 bedrooms with Two Twin Beds each. This luxury home is available for elaborate weddings or intimate celebrations. For an upscale summer experience, this property offers all the amenities of a 5 star property, the best for any occassion. In ground pool, outdoor bar, refrigerator, 2 blenders, microwave, toasters, toaster oven, dishwasher, coffeemaker, AM FM clock radios, DVD, VHS, STEREO, CD Player and Cable TV in all bedrooms and living with premium movie and sports channels. Utensils and dishes, tons of designer towels and linens. 7 PERSON HOT TUB. Paved basketball court, sand volleyball court, pool table, ping pong table, board games Beautiful lawn for entertaining of just relaxing under the many trees. I stayed here for family vacation in August 2015 (extended family of 15). During November 2015 and August 2016 I stayed at another home (Shell House) owned by Marilyn. Those times we were a family of 19. I can't say enough positive things about Marilyn as a landlord and her gorgeous, comfortable houses (and I know because I have also experienced the landlord from hell in Southampton). The houses are spacious, clean, wonderfully decorated and maintained, and fully stocked. Both houses we stayed in have gorgeous, clean swimming pools. During 3 different stays we experienced very few problems (all the product of normal wear and tear on a house), but Marilyn and her maintenance vendors were immediately responsive. Our group ranged in age from 1 to 86 and we all were happily accommodated. The houses are conveniently located in terms of both town and the beach. Rivers Edge has a real bonus for anyone with young children. The volleyball net is set up for beach volleyball in a sandy pit. We never played the game, but the 3-7 year olds had a fabulous time in what amounted to a huge sand box! Shell House has a game room that kept all of the kids (2-20) happy when they weren't in the gorgeous, clean pool. Both homes have at least one first floor bedroom and plenty of bathrooms. I not only would book again, but I have for next summer! House is NOT available for prom events. House cannot accommodate weddings or any type of large party or event.